Burgundy is one of the most romanticized wine regions in the world. The historic stretch of land traces its winemaking roots back more than 2,000 years, and is ground zero for some of the most coveted (and expensive) producers like Domaine de la Romanée-Conti, Henri Jayer, and Domaine Armand Rousseau. 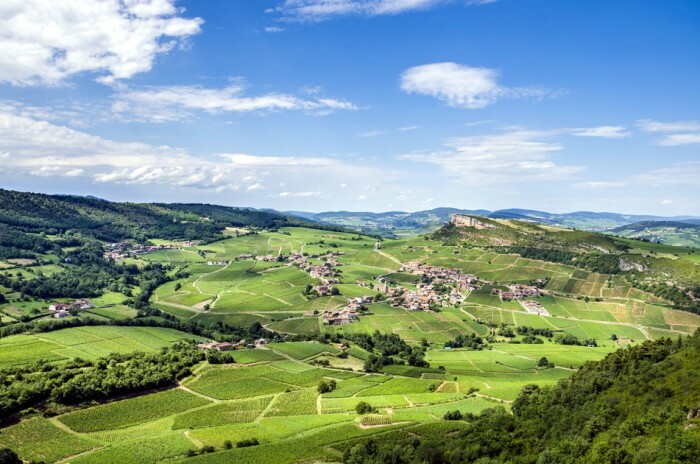 Located on the eastern side of France, tracing along the Saône river, a tributary of the Rhone, it is also home to a dizzying number of AOCs, more than any other region in France. 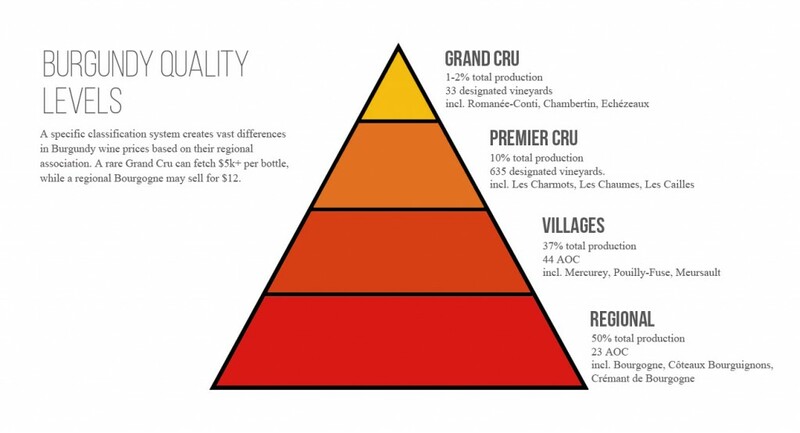 Let’s start with the simplest part – the wines. Four varietals are grown here, with Pinot and Chardonnay dominating most of the production. Most Burgundy is produced from a single varietal, and very little blending is allowed, though some exceptions are made in places like Côteaux Bourguignons, where Pinot Noir and Gamay can be combined. Maybe you’ve heard someone wax poetic when describing a wine’s “sense of place”. This mythical interpretation of how a wine translates geology, weather, and other factors known as terroir is everything in Burgundy. Unlike Bordeaux, where wine prices and quality correlate mostly with a producer’s name, in Burgundy a vineyard’s reputation governs the wine’s value. This began in the Middle Ages when Cistercian and Cluniac monks figured out that different soil types and locations could dramatically influence a wine’s character. They subsequently divided vineyards into some 1,200 patches surrounded by rock walls, known as “clos”. This careful segmenting of land, and focus on single-vineyard Crus is one reason for the smaller production in the region. 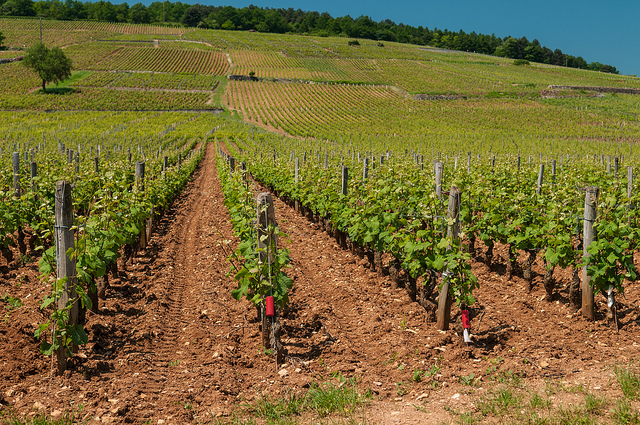 Another reason for the scarcity surrounding Burgundy wines has to do with vineyard ownership. 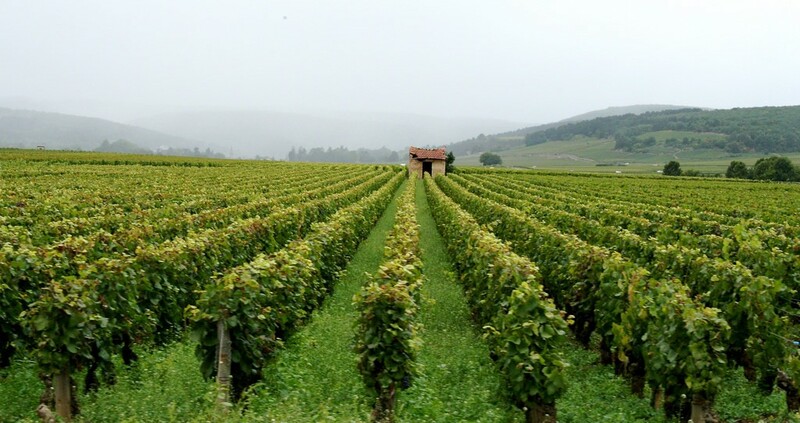 Thanks to Napoleon’s land inheritance laws, a single vineyard might be owned by up to 75 people, and some owners might only control 2-3 rows of vines. There’s simply not enough land to go around and many producers will only make 500-1000 cases of wine. Climat: Precise delineated plots of land with unique soil, microclimate, and other characteristics. 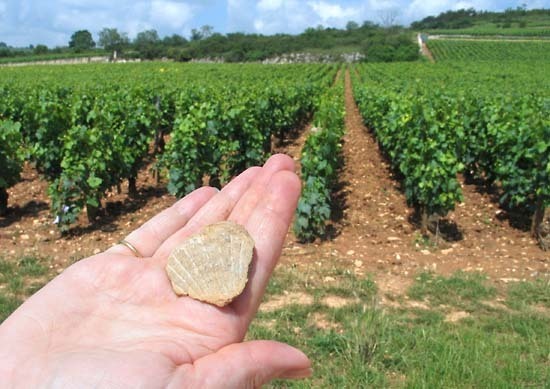 The soil in Burgundy can change dramatically from one vineyard to the next. Just a few inches might separate a Grand Cru vineyard from a Premier Cru. Most soil contains a mix of limestone, clay, gravel, and sand, but two particular types dominate the landscape and determine which grapes are planted. Jurassic limestone makes Burgundy unique, and you can find fossilized remains of sea creatures just under the gravely surface. Chardonnay does especially well in limestone-dominant soil. Marl is a mixture of clay and limestone, and caters to Pinot Noir. Burgundy contains 33 Grand Cru vineyards, entirely concentrated in the Côtes de Nuit and Côtes de Beaune. Together these two AOCs are known as the Côte D’Or. Grand Cru vineyards are almost always found on the slopes of the hills, where the vines get the most sun exposure and better drainage. Premier Cru vineyards are often found just above or below these prime locations, while the villages usually remain concentrated in the valleys. Burgundy consists of five (six if you count Beaujolais) primary regions, spanning north to south for a 75 mile stretch starting near Dijon and ending in Macon. Each region hosts numerous Appellation d’origine contrôlée (AOC), and brings unique characteristics/terroir to the wines. Chablis is the northernmost region in Burgundy, closer to Champagne than it is to the Côte de Nuits. The weather here is significantly cooler than its neighbors to the south, and the limestone soil known as “Kemmeridgian” reflects summer sun, helping to ripen the grapes. You’ll only find one type of grape here, Chardonnay, and it’s marked by a crisp freshness and distinct minerality, sometimes described as a “flinty” note thanks to the limestone. Domaine Besson Chablis Montmains 1er Cru 2013 walks a fine line between the flinty, crisp, brisk acidity and hyper-freshness and the lusher, more tropical flavors. For collectors: Generally speaking, Chablis will be cheaper than whites from Beaune. The Grand Cru vineyards like Les Clos and Vaudesir will sell for higher prices, but some serious Chablis lovers swear by the Premier Crus from Montée de Tonnerre and Fourchaume, which can be found for $30-50. 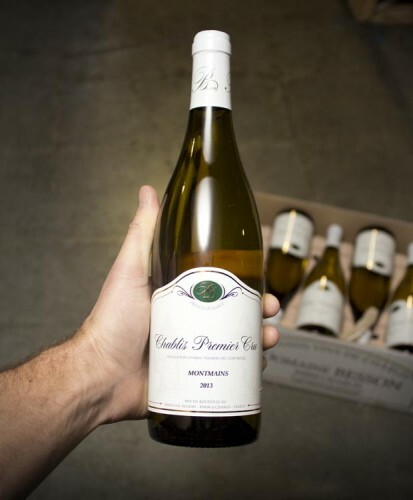 For bargain hunters: Look for the “Petit Chablis” designation on a label. This newer AOC includes the outer regions of Chablis. These wines are meant to be enjoyed immediately, so don’t bother trying to age them. This area is home to some of the most expensive real estate in Burgundy, and perhaps anywhere in the wine growing world. Most of the vineyards are dedicated to Pinot Noir, and this is where you’ll find 24 of the most revered Grand Crus – Gevry-Chambertin, Morey St. Denis, Vosne Romanee, Nuits St-Georges, Flagey Echezeaux to name a few. The wines are rich and powerful, highly desired by collectors, and usually designed for aging 5-15 years. Soil composition varies here, which is why a Pinot from Gevrey-Chambertin might taste very different than one made from Morey St. Denis. As you travel further up the hillsides, venturing into Grand Cru vineyards, the soil becomes lighter in color, with a higher concentration of limestone that allows better drainage. 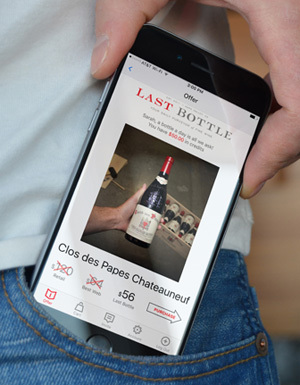 For collectors: Seek any of the Grand Crus from Gevry-Chambertin, Morey St. Denis, Vosne Romanee, Nuits St-Georges, Flagey Echezeaux. For bargain hunters: Living in the shadows of the Grand Crus has its advantages, namely great wines at much lower prices. Try to find village wines from Fixin, Brochon, Premeaux, or Comblanchien. The Beaune region is marked by rolling hills and flat, open valleys. In the northern part Pinot Noir dominates, but as you head south the trend leans toward lighter, more perfumed styles, and of course you encounter places like Meursault and Chassagne-Montrachet where they make incredibly rich and buttery, but bone-dry Chardonnay. 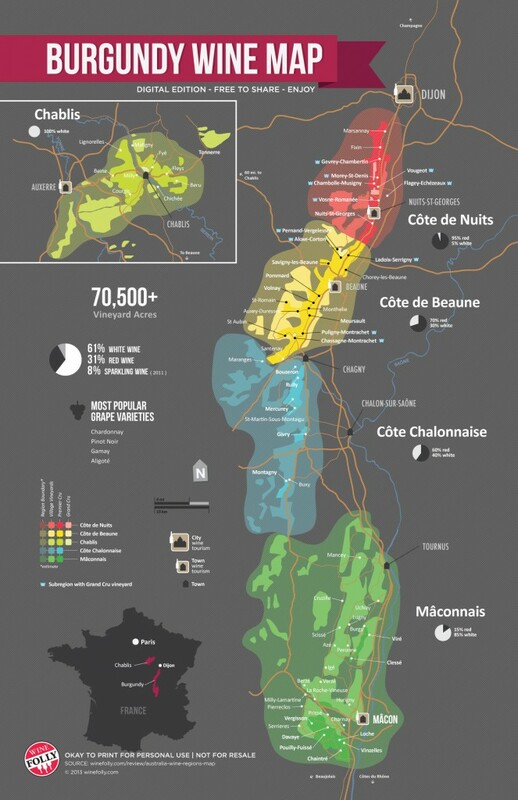 In the Côte de Beaune you’ll find 7 out of 8 of the remaining Grand Cru vineyards, mostly dedicated to Chardonnay. The Aloxe-Corton area is home to the only Grand Cru red wine in the region. For collectors: Despite having no Grand Crus, Pommard holds its own among Pinot lovers. Volnay brings a similar cachet, though their reds are comparatively more elegant. If you’re looking for top notch Chardonnay, Corton-Charlemagne takes the crown, with Puligny-Montrachet and Chassagne-Montrachet following close behind. For bargain hunters: Marranges and the hills of St-Romain, Auxey-Duresses, and Monthelie produce solid whites and reds. There are no Grand Crus in Cote Chalonnaise, but plenty of Premier Crus are found there, and wines from here represent some of the best values in Burgundy. The reds of Cote Chalonnaise don’t have the same intensity and structure compared to the Cote D’Or, are more fruit-forward with a rustic edge, and designed for immediate enjoyment rather than cellaring. Chalonnaise is also home to Bouzeron, the only AOC permitted to grow Aligote. Cremant de Bourgogne is also a popular choice here, made in both white and rose, in traditional method. The other AOCs include Rully, Mercurey, Givry, and Montagny. Of those, Mercurey is the most recognized, accounting for two-thirds of wines made in Chalonnaise and is known for its powerful and structured Pinot Noir. The neighboring Montagny region is completely dominated by Chardonnay production. For collectors: Serious Burgundy lovers might have trouble adding Chalonnaise wines to their collection, but some Premier Crus from Combins, Champs Martin, Clos des Barraults, Les Naugues and Clos l’Eveque can put on a strong showing for a low price. For bargain hunters: The Givry AOC turns out most of the Chalonnaise wines, and has seen a decent rise in quality over the past decade. At the southern end of Burgundy you’ll find Mâconnais, a warmer region where Chardonnay is the predominant grape. Pouilly-Fuse is the most well known AOC here, where they produce crisp, unoaked (usually) Chardonnay. Unlike Chablis, Mâconnais Chardonnay is much more powerful, richer, and rounder thanks to the warmer weather and lack of Kimmeridge soil. It’s also quite a bit cheaper. Wines fall under the Mâcon classification will always be 100% Chardonnay. The classification system is much simpler here too. It starts with plain old Mâcon, and can be narrowed by adding the specific village, for example Macon-Milly-Lamartine. Roche de Bellene Coteaux Bourguignons Cuvee Terroir 2013 comes from the Maconnais region, and is a friendly, easy-drinking wine made from Gamay and Pinot Noir. For collectors: Without any Grand Crus or Premier Crus, this region definitely caters toward the affordable side of Burgundy. 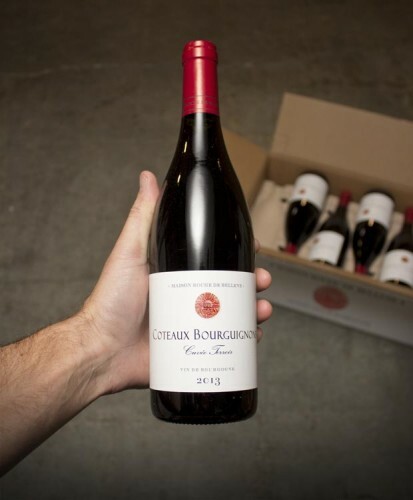 For bargain hunters: Côteaux Bourguignons is a new appellation in Burgundy designed for lower priced brands. It allows producers to source grapes from the broader Bourgogne region, including Beaujolais. While other AOCs impose strict limits on blending Gamay with Pinot, Maconnais producers are free to blend the two grapes together. In this quiet region filled with sleepy little towns, the winemaking tradition is strong, and people who live there remain deeply rooted to centuries old traditions of caring for the land. With so many little bottlings, the average consumer might feel like they’re rolling the dice when shopping for a Burgundy, but the risk is worth the reward when they find that hidden gem. Want to put your knowledge to the test? Take our Burgundy wine quiz and find out!